Amazon.com has launched a new digital library for our reading pleasure! 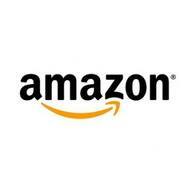 Anyone who owns a kindle and has a membership to Amazon Prime will now have access to the site's library. Kindle owners can choose from thousands of books to borrow FOR FREE, including more than 100 past and current NYTimes Best Sellers. You can borrow the books at a rate of once per month. Amazon Prime costs $79 a year (about $7 a month) and not only do you have access to the library, but you get free 2-day shipping on all orders and free access to thousands of tv shows and movies. Will YA Market Be Stunted by Borders Closings? A recent report shows that the multi-billion dollar YA and Children's publishing industry will be deeply affected in 2012 because of the closing of Borders stores this year. When the YA industry first began to explode (think Harry Potter, Eragon, Twilight), there were tons of people buying books not only for themselves, but as gifts for others. And just think about how many times you've walked into a book store and come out with a YA book because it had an amazing cover or just happened to grab your eye. Well now the publishing industry has to deal with one of their largest retailers closing and shutting the doors on all of those people just hunting for a good book. What Do You Think? Will the YA Market Be Affected? 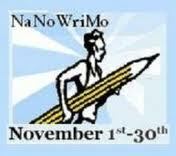 NaNoWriMo (National Novel Writing Month!!) is a fiction writing contest open to all writers and all genres of fiction. The catch - you must write a 50,000 word novel in just the 30 days in November. NaNoWriMo is now in it's 13th year and has a record number of participants. Last year, there were 200,500 registered at the site, and of them, 37,500 people actually finished their novels. The girls of GoodChoiceReading are participating this year (wish us luck!) and it's be great if you all could join in too! As the creator of NaNoWriMo says, "All you have to do is sit down and write".